Bengaluru: The forest department officials on Wednesday, December 5 successfully traced a tamed elephant Ashoka, which went missing during its operation to capture a prowling tiger. 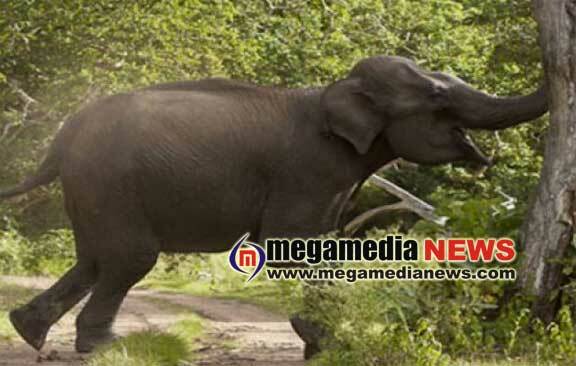 The elephant had fled into the HD Kote forest in Mysuru district on November 26. Earlier, the officials had informed that a tiger had wreaked havoc in and around Taraka dam backwater regions near Antarasante village, killing a large number of cattle. The locals lodged a complaint with the forest officials who planned to trap the tiger and four elephants were roped in, including the main pachyderms of Mysuru-Dasara festival Arjun and Ashoka. According to eyewitnesses, firecrackers were burst on spotting the tiger. Hearing the sound, Ashoka reared up and the mahout fell down. The elephant then fled into the forest. “Yes, the elephant ran away into the forest because it is in ‘Musth’. We are keeping a track of it,” Nagarahole Tiger Reserve forest conservator K M Narayanaswamy said. Musth is a periodic condition in male elephants, characterised by highly aggressive behaviour and accompanied by a large rise in reproductive hormones.